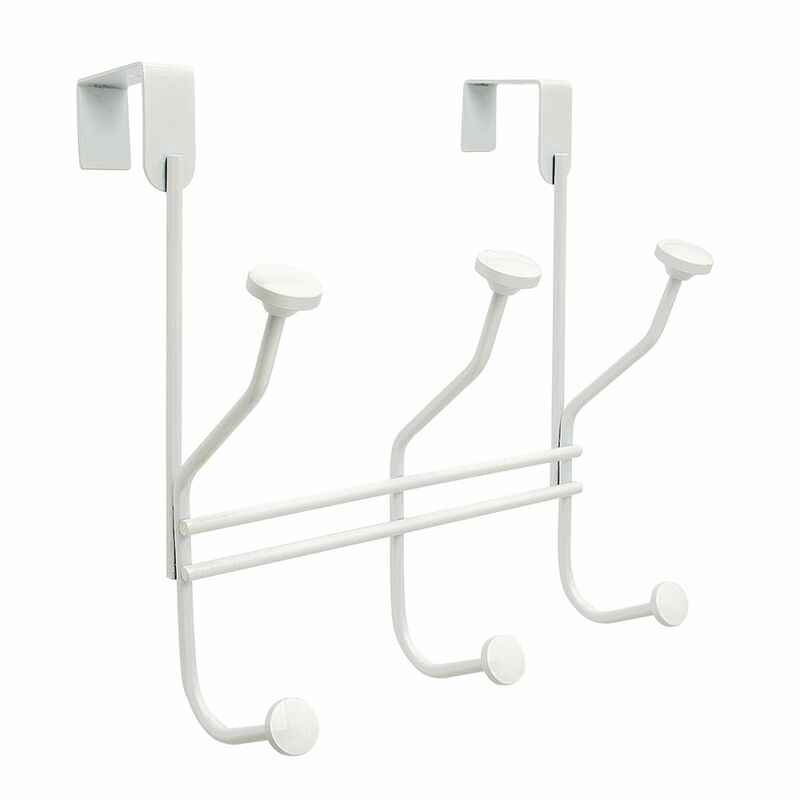 The Amerock HR55548GW Over the Door Multiple Hooks Rack is finished in White. Use to hang clothing, robes, towels and more. Command Medium Wire Hooks are great for hanging belts and accessories, seasonal dicor, cleaning tools and small kitchen items. Command Damage-Free Hanging Hooks hold strongly on a variety of surfaces, including paint, wood, tile and more. When you are ready to remove your Command Hook, it comes off cleanly without damaging surfaces with holes, marks, sticky residue or stains. Over-the-Door Multiple Hooks - White The Amerock HR55548GW Over the Door Multiple Hooks Rack is finished in White. Use to hang clothing, robes, towels and more.